The Chicago City Council's Finance Committee on Monday signed off on a plan to pay $250,000 to settle a lawsuit accusing police and prosecutors of a cover-up in the death of a man after he got in a fight with a nephew of then-Mayor Richard M. Daley. The settlement still needs approval from the full council. Nanci Koschman filed the lawsuit in March of last year. It accuses police of concealing information and creating false evidence to protect Daley's nephew, Richard Vanecko. Vanecko pleaded guilty to involuntary manslaughter in the 2004 death of David Koschman and served a 60-day jail sentence. He also was ordered to pay $20,000 in restitution. Vanecko's plea came after a special prosecutor reopened the case following an investigation by the Chicago Sun-Times. The city's Law Department refused to discuss the possible settlement. 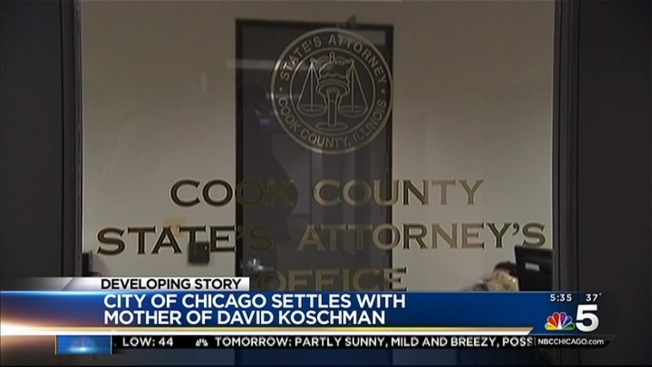 The defendants had argued that Koschman waited too long to sue. A federal judge agreed that the statute of limitations had run out and threw out the case last year. Koschman appealed and a decision is still pending. David Koschman, who was 21 years old, died days after he fell and struck his head during the fight outside a bar in Chicago's Gold Coast neighborhood.